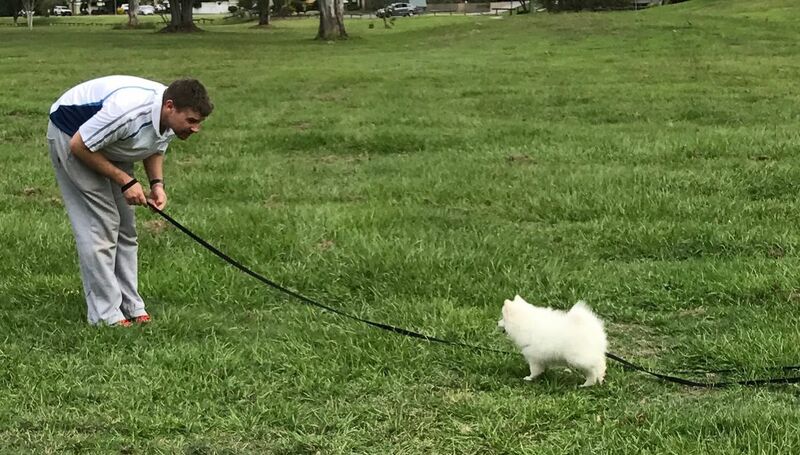 Be pro-active and set your puppy up for the very best in life! 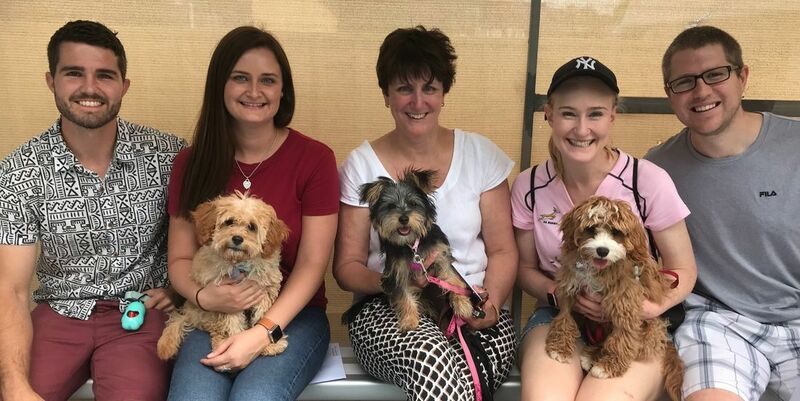 Our uniquely designed puppy preschool training program in Brisbane's Southside, is a vital step in the development of a happy and healthy puppy. We have two age groups for our puppy preschool program. One for puppies 8-14 weeks old and the other for puppies 14-24 weeks. This ensures puppies learn to mingle with others of a similar age in environments that cater to their training needs best. This 8-week puppy preschool training program is designed to successfully set you up with your K9 buddy to develop the best relationship possible, that is based on trust, respect, and clear communication. You will learn everything you need to know in teaching and guiding your K9 buddy in everyday life situations. 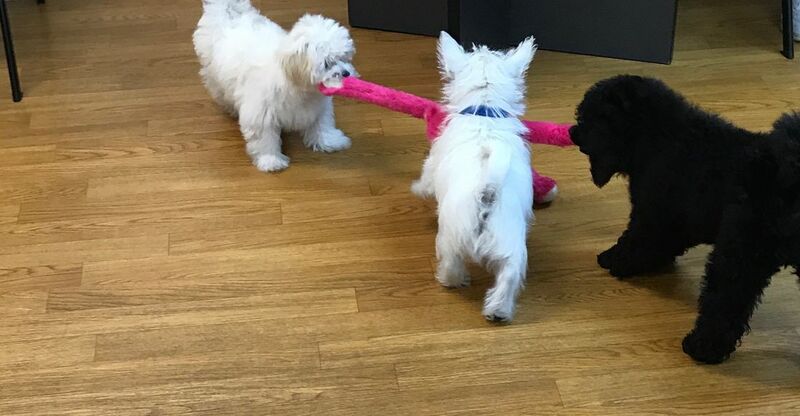 Puppies will learn how to interact and play appropriately with other dogs and learn how to be a polite puppy from an early age in everyday life situations. *An understanding of different positive training methods, and the best ones to use and when. *Canine communication and body language. If a puppy preschool training lesson is missed a make up lesson may be provided. 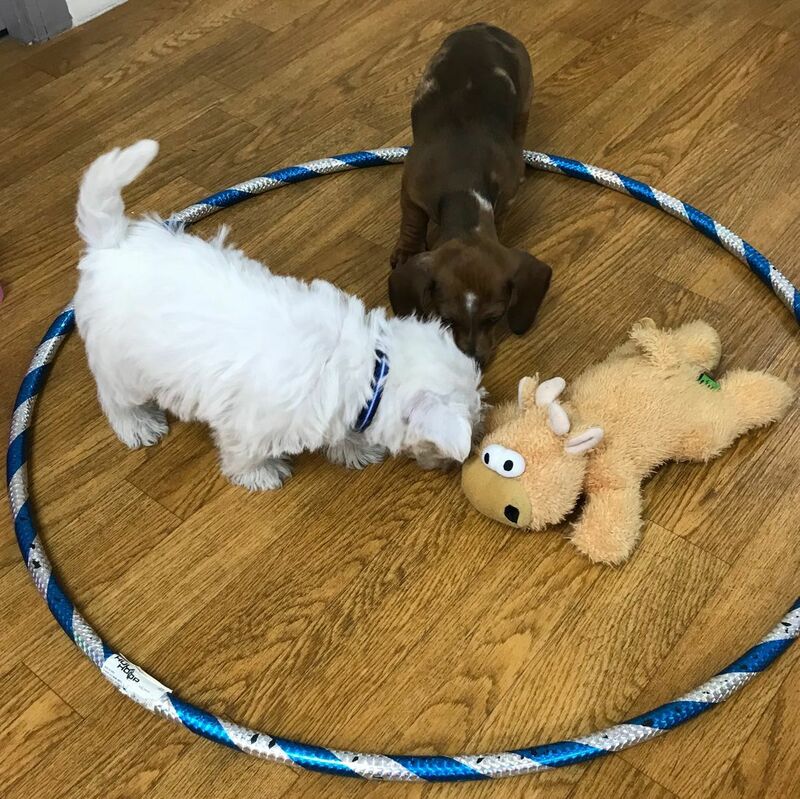 We hold our first five puppy preschool training classes indoors in Brisbane's Southside suburb, Wishart , providing your pup with a safe, clean and comfortable environment. Your puppy only needs to have had its very first vaccination for these sessions, and once they are fully vaccinated, we will move outside for the remainder of the training. You won't just get the training itself you will also recieve a puppy preschool training manual, and complimentary interactions sessions. These are available every Saturday morning and possibly some Thursday evenings so you and your K9 buddy get the very best from the puppy preschool training program. "If we hadn’t found Zigrid when we did we probably would have rehomed our crazy Labrador. Zigrid taught us K9 communication and how to be K9 parents. Zigrid’s sole focus was the welfare of our dogs and our sanity. Thankyou Zigrid!" "We can’t recommend Zigrid and her team highly enough. Their dedication to helping us to understand our puppy and help him succeed has been a gift that will last a lifetime. Teaching us to read the dogs body language, offering social interaction sessions in a safe zone for the dogs, personal care and attention to difficulties we had, and offering practical and effective solutions that met with out belief in positive training. During the program we have made huge progress on sole attachment, being home alone, and interacting with other dogs. We recommend Zigrid to everyone and will be back with any future furry additions to our family."